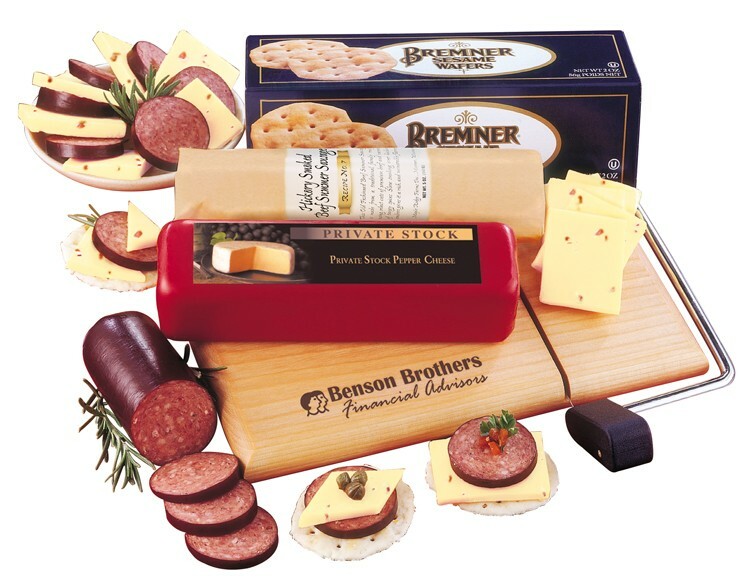 That's what they'll say when they open the package to discover this handy cheese-slicer packed with a seven-ounce block of shelf-stable Mild Pepper Cheese that does not require refrigeration upon receipt, a five-ounce stick of our delicious Beef Summer Sausage and a box of Water Crackers upon which to serve these favorites. This useful cheese-slicer will be used regularly, and your imprint will be a reminder of this thoughtful gift. Serves 4-7. Food gifts are perfect for any occasion!